We are the trusted partner for sign companies and sign makers across the UK. As well as an exceptional range of sign making services we also offer value added services – from design to distribution. Our high spec routers, cutters and forming equipment plus high quality printers means we can deliver on almost any project across most substrates. Our massive 46, 000 sq feet UK factory houses a large range of kit plus an experienced team skilled in all the processes you’ll need to complete your project. Over 50 years we have expanded our sign making processes to meet and even anticipate changes in the sector. We now offer even more processes to help complete your project. We also work with more and more substrates, and our investment means we can work more efficiently & faster without any compromise on quality. Line Bending – we have unparalleled line bending capacity and ability. Using some of the best equipment, we can line bend with exceptional accuracy & offer uninterrupted heat bands if required. We can bend acrylics, polycarbonates and other substrates up to 3m long and 25mm thick. Read more about line bending. Retail Signage – with over 50 years experience of the retail sector we are the natural choice for retail signage projects. 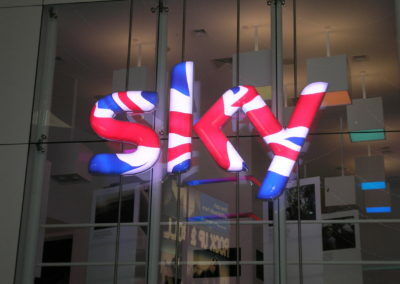 From external signage to internal directional signage and POS signage, we can offer a complete service. We’ll keep your project ‘on-brand’ and on budget too! Illuminated & Back Lit Signs – see your signage project light up with our help. 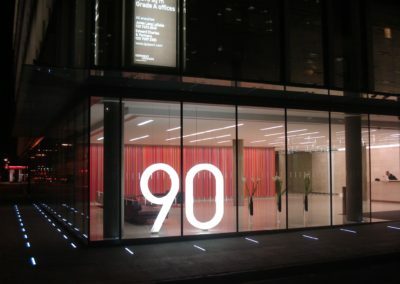 We’ve a host of options to help you create high impact low-energy illuminated signs that includes lightbox signs, LED signs, face lit, back lit & edge lit signs, ‘fake’ neon and external trough lights. Lettering – we make a wide range of lettering for interior & exterior signs including fret cut letters, built up & flat cut letters, back lit / face lit and edge lit lettering, pan channel lettering & vinyl lettering. We manufacture using a wide range of processes and materials. 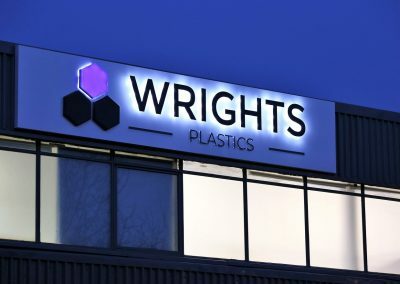 Vacuum Formed Signs & Fascias – with 50 years vacuum forming experience and the latest tech we can manufacture high quality vacuum formed fascias to almost any size and complexity. Find out more about our vacuum formed fascias. Pan Signs & Tray Signs – we offer cost-effective pan sign / tray sign manufacturing for sign makers. Offered in an size with return edges to suit your requirements the pan signs can also be illuminated. 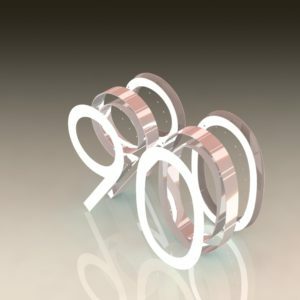 We can make them to almost any shape and complex design in a range of materials including ACM and acrylics. 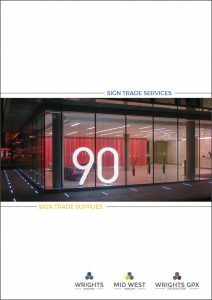 In addition to our manufacturing skills and capacity we also offer a range of services designed to support sign companies and sign makers develop their business – giving them the confidence to take on larger and more complex projects. White Label Dispatch – we can sort the distribution of your completed signs around the UK and beyond. Our dedicated team use trusted couriers to deliver on time and undamaged. This White Label service means customers believe their order has come directly from you. Assembly & Fabrication – for larger or complex jobs that require assembly we have a large and skilled workforce to take the strain. With flexible working hours and lots of experience we can take on projects large & small. Storage – we can store your completed signs until find space for them or until they are required for despatch. As well as a 46,000 sq ft base we have also invested in 9,000 sq ft of warehousing, you won’t have to source short term storage.